If you’ve read my guide to double cleansing, you’ll know that I swear by a good cleansing routine for clearer, healthier skin. If you’ve got super clean, nourished skin to begin, the rest of your skincare won’t have to work as hard. 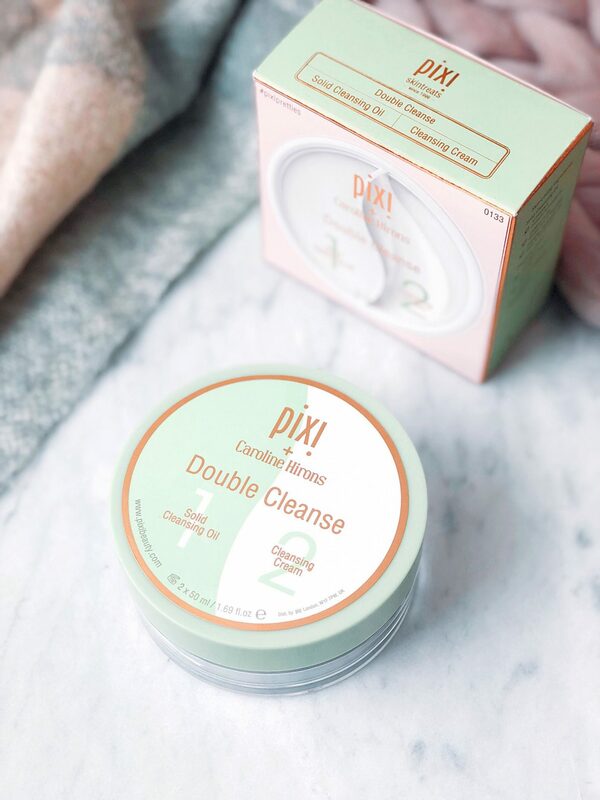 I’ve had my eye on the Pixi Double Cleanser for such a long time. I’m a fan of their Glow Tonic and Glow Mist, and I’m an even bigger fan of Caroline Hirons. If you ever have a skincare question, it is Caroline you need! This collaboration made perfect sense and I finally treated myself to the kit. I’ve been using it for about a month now, so I’m ready to share my initial thoughts on the product and let you know how it works. So this kit comes with a 50ml solid cleansing oil on one side of the pot, and a 50ml cream cleanser on the other. At £24, you are paying £12 for each cleanser essentially. Now, after a month’s worth of using the double cleanse, I think I’ll get about 3 months use out of it. This works out at about £4 per month for each cleanser – which I’m more than happy to pay. When it comes to skincare, I’m happy paying more for a cleanser, serum and acid toners. Aside from this, I choose high street items, so £24 for this cleanser seems fair enough. In terms of scent, these products aren’t fragranced which works for me! The 2-in-1 jar is so convenient. 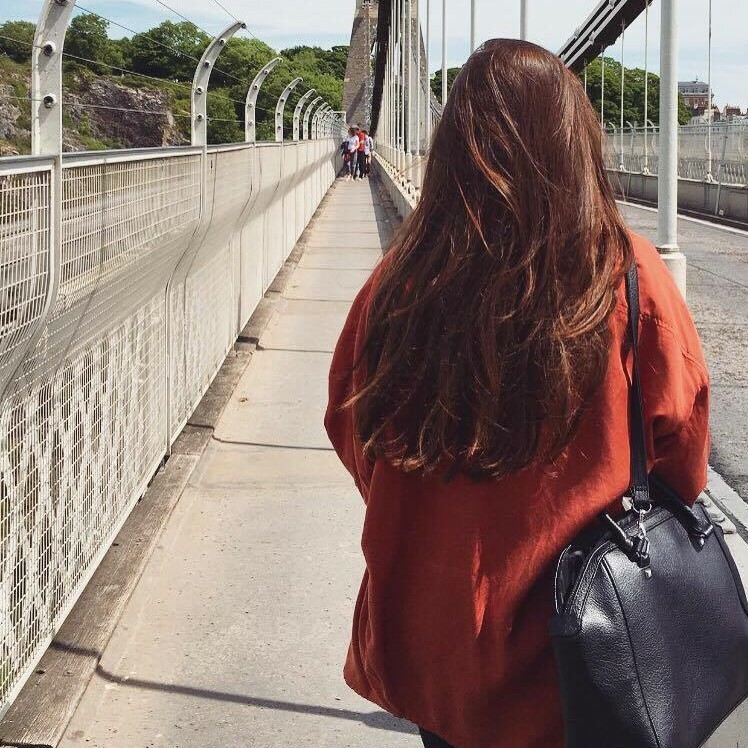 Everything is in one place, which makes things much easier for travelling. I am used to taking a big cleansing jar and a bottle around with me, so already the Pixi cleanser has won itself some brownie points. I was worried that the two cleansers might mix together but there have been no issues with that so far. The jar looks glass but is actually plastic. Ideal for travelling again! If you haven’t been double cleansing up until now, I’ll give a quick overview on how to use this cleanser. The solid cleansing oil (which contains vitamin E, camellia oil and evening primrose) dissolves makeup, dirt, suncream, pollutants – anything else you might have on your skin! Massage onto dry skin to let the oil work it’s magic, and wipe away with a warm, damp face cloth. So now the cream cleanser. 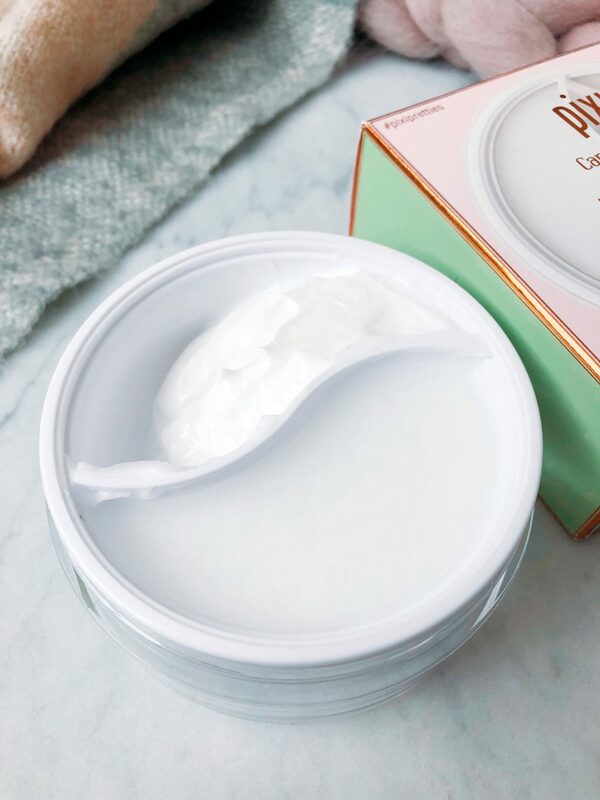 This contains Vitamin C (amazing for all skin types) and works to encourage cell renewal and diminish the appearance of fine lines, promoting collagen. Apply onto damp skin, massage in and wipe away with a face cloth again. And voila! 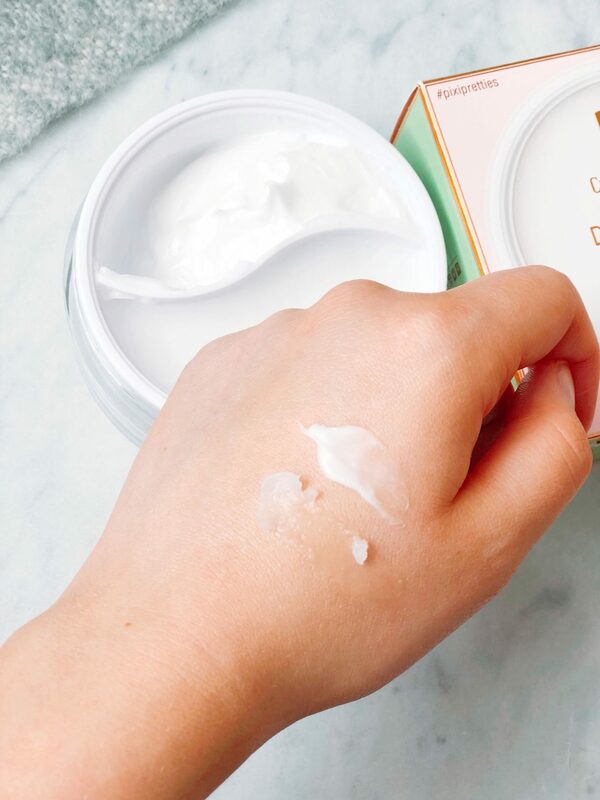 Clean skin that feels nourished and ready for the rest of your skincare routine. Cutting straight to the chase; I love it. Although when I think about it, I wouldn’t expect anything less than brilliant from Caroline Hirons – she is the skincare queen! The convenience of having both your cleansing oil and cream in the same pot means that I’m reaching for this over my usual cleansing combo at the moment. The only downside to the product that I have come across so far as that when I use the cleansers to remove my mascara, I sometimes my eyes feel a little cloudy afterwards – a problem I’ve had with a few cleansers. It doesn’t sting in the slightest, but just means I end up rubbing my eyes a little after. In all honesty, this is because I have to work at my mascara for a while as I wear about 5 layers. It appears that long lashes come at a price! So to round up for you…. – Has kept my skin clear and glowing! I genuinely have to give this cleanser – it is a brilliant makeup remove and skin cleaner that I can’t really fault. I’d happily give it a 9/10. It does exactly what it says on the tin and I think this will be one that I repurchase as soon as it runs out. So convenient. Well done Pixi and Caroline! Next Post 6 Reasons To Be Happy That Spring Is Here! This sounds fab, I really want to give it a go but I have such sensitive skin! !